When you think about it, franchising uses a lot of military terms: conquer markets, roll out regionally then nationally, blitz the consumer, attack markets. The very term marketing “brand”originated, of course, with heraldry and military regalia. Franchising had operated as a type of self-governed nation state that has traditionally been held together by British common law principles. They acted as if they were above the law. This ability to exercise coercive power is over, however. By 1920, see above, the sun never set on the British empire. The franchising elite is what I have defined as Big Franchising: product franchisors, key business-format franchisors (lapdog peak associations), and the franchise bar. If you doubt the transnational of modern franchising methodology, I direct your attention to the World Franchise Council. Franchising is an imperial empire because it gains its strengths from “domains of knowledge, beliefs, values and, expertise”. Wikipedia These near-religious beliefs are found in full-blown vigour at the International Franchise Association’s continuous cliche-ridden press releases (see SmartBrief). In most empires, there is a visible difference between the rulers and the ruled such as skin colour, language, education, nationality, ethnicity, etc. Not so in franchising. The differentiating factor is between the investors’ ears. Awareness that franchising is a game designed to re-distribute wealth (not create it) is what separates the haves from the have-nots. That franchising is often a debt-induced form of servitude is what the “innocents” have not learned yet. The British empire held control by exerting a monopoly on sanctioned violence via their military, colonial administration, police and courts. This was possible through misrepresentations and control of information. Franchising has done the same via the franchise bar’s jealously guarded monopoly on franchise legal work and access to justice in the civil court system. Franchising as a coercion-based empire is over not because digital information can now be shared (internet). There are many digital house negroes actively trying resist the inevitable. The empire has ended because credible and honest sharing is happening here, a few IndFA sites and at WikiFranchise.org. WikiFranchise.org often adds depth and perspective to a current media franchise industry article. Let’s take a look at the decades-old, but next to invisible, war of wills within Ontario’s grocery industry. Last week, the Canadian Broadcasting Corporation reported that Buy-local push prompts Ontario grocers to go independent. The Toronto Star ran a story last Saturday called Meat cleaves grocer’s tie to Sobeys: Ex-franchisee goes independent to gain right to sell beef, pork, poultry produced locally about 5 Sobeys franchisees taking themselves independent in southwestern Ontario. That doesn’t seem to be much of a story unless you start looking into the background of the franchisees involved. The current press spin (a desire for more local suppliers) is certainly not the whole story. Grocery franchisors in Canada ruthlessly control what products can and cannot be purchased in their franchisees’ stores. Vendor programs (rebates, kickbacks, allowances) are a very important source of income for Big Grocery in Canada. When you search WikiFranchise.org for “Peter Knipfel” you get the following article: CFIG Public Hearing Testimony. It appears that Knipfel was the Chairman of the Board of the Canadian Federation of Independent Grocers in 2000. Sure enough, when you hop over to the CFIG’s website Knipfel’s photograph (see above) is prominently displayed as the Feature Story scroll. That a former Chairman of the CFIG is one of the defecting franchisees is an indication that this story has much more to it than the simple formation a group called the Independent Hometown Grocers Co-Op. I created WikiFranchise.org to help non-insiders understand the hidden meanings within franchising. Can technology create a tyrant’s World of Pain? The music industry used to be dominated by a few despots that forced their will on recording artists. The contracts were massive and one-sided. Their monopoly was on marketing, talent development and distribution. They ruled as if they would always be on top of the heap. And then along came file sharing software and their empires seem much less certain these days. They defended their “intellectual property” using methods from the industrial revolution. They sued. And they sued. And then they sued some more. The result? They just looked like morons and millions of songs still get ripped every day. Sure things are in flux but at least there’s diversity and innovation rather than mindless control. 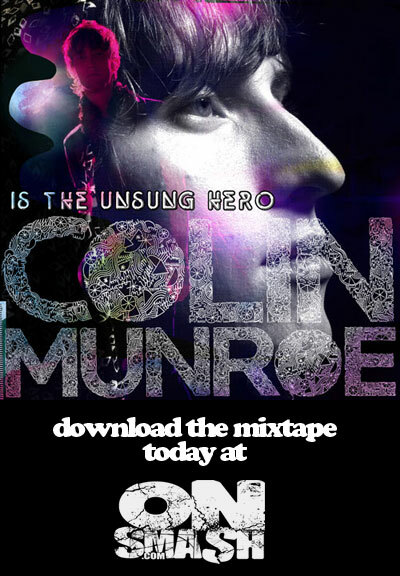 When Colin Munroe can make his own music and sell it directly, the world has changed for everyone in the music industry. This is a cool video. Welcome to a tyrant’s World of Pain. The law creates just outcomes only in some cases. In franchise law, the justice is delivered to those that control access to the Courts and the political process. Only franchisors and large franchisees have that clout. The latest proof of this policy and law bias, is that the NHL and the Toronto Maple Leafs should be sued in an Ontario Superior Court for their unfair dealings, racketeering and extortion activities. That won’t happen because franchising and especially sports franchising is a monopoly game played by insider credence good cheaters. But: Why not try the bastards in a virtual Court room? I propose a McKangaroo Court to ease our pain. A mock trial for a phony form of competition (ie. sports franchises). Hockey Maniacs: In southern Ontario, pro hockey is a God. The Toronto Maple Leafs have been able to sell out every game for over 40 years by providing, at best, a fitfully mediocre product (eg. a competitive sports team). Think of the Big Auto before Toyota and Honda showed up. The Leafs owner’s are monopoly players in the world’s most lucrative hockey market. A normal fan can only dream of attending a game with their kids anymore. Jim Balsillie has been trying to bring another professional hockey team to southern Ontario for some time now. His most recent attempt is to offer over $200 million to rescue the Chapter 11 Phoenix Coyotes and move them to southern Ontario, Canada. But other 30 NHL owners (franchisees acting like franchisors, 25 which are U.S.-based cartel) have other ideas. And the encroachment kickback to the Leafs and Buffalo Sabres is extortion: plain and simple. 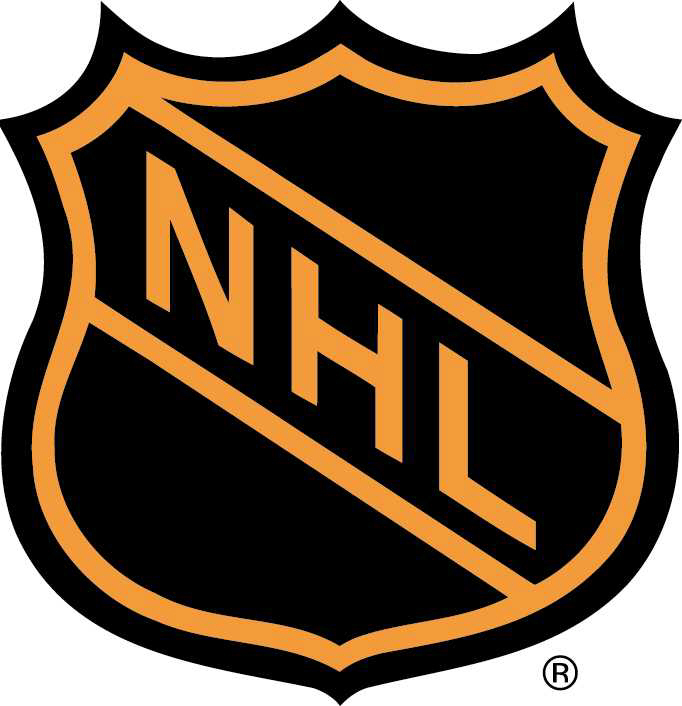 “The NHL is excluding competition and restraining trade in [the United States and Canada] through the application of unreasonable restrictions in its constitution and bylaws, which are preventing the relocation of the Coyotes from Phoenix, Ariz., to Hamilton, Ont.,” said the lawsuit filed yesterday in Phoenix. Refusal to deal and exclusive dealing. Argument: The Arthur Wishart Act (Franchise Disclosure), 2000 governs all franchise commercial relations in Ontario, Canada. MLSE is acting as a “franchisor’s associate” under Section 1.1 (“franchisor’s associate, a. and b.). As a “franchisor’s associate”, Wishart treats MLSE is treated as if it were the franchisor (the same duties and responsibilities as the “normal” franchisor, in this case, the NHL). I think the citizens of southern Ontario deserve to have their pro hockey fix met by the appropriate franchising corporations. 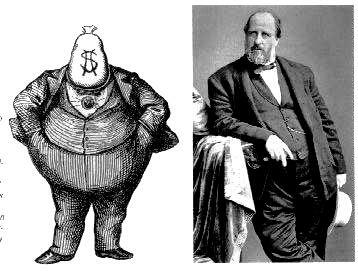 The Maple Leafs and the NHL show their contempt for their real customers (ticket holders) by continuing to run their robber baron scam. For these offenses, they deserve to be sued. And I bet there some CDN hockey nut franchise legal beagles that’d love to write up the arguments. In this way, the problems that non-billionaire business format franchisees endure can be explained to the public while showing where the real weasels live. Why won’t these little worms just grow up? Yes, we know you’re tough and smart. We know the gym class shower room was demeaning. And yes pulling the wings off flies does hold some amusement value. But seriously: Get some help in the second half of your life. There are some people (mostly male) that think the worst of people, are never satisfied with any accomplishment and would rather kill something rather than share a little bit (let alone collaborate). They’re so emotionally shut down and compartmentalized that all that’s left is fear and anger. It’s been my experience that modern franchising is practiced by fearful men who lack the confidence and maturity that should have been formed during their boyhood. They’ve never learned to trust themselves, mask their inadequacies with arrogance and accumulate wealth but are unable to enjoy the use of those resources. They act-out as if they were european dragons or worms (from the old English): like Smaug of The Hobbit fame: only hoard and destroy, are master hynotists, believe themselves to be invulnerable (although they are not), have a dry but cruel sense of humour with an “overwhelming personality”; their Achilles’ Heel is always hubris: overweening arrogance, superbia. They try to deny part of their nature but it keeps popping up, especially when their Divine Right to Decide is questioned by lesser mortals. One Model: Within every individual, there are two forces, world views or archetypes at play: every male has within him a female side, and every female has male characteristics within her. Carl Gustav Jung identified unconscious forces called anima and animus. animus is the unconscious masculine component in women. Jung believed that the anima and animus act as guides to the unconscious unified Self, and that forming an awareness and a connection with the anima or animus is one of the most difficult and rewarding steps in psychological growth. Jung reported that he identified his anima as she spoke to him, as an inner voice, unexpectedly one day. When a half-formed male is seriously confronted, he becomes unglued: screaming, cursing, the issue becomes a life-and-death struggle against the Questioner. I’ve seen this type of tantrum up close and you tend not to forget the experience. I think every franchisee has experienced this. It can be a franchisor, a lawyer, a politician: it doesn’t matter (see Big Franchising). In franchising, this acting-out these man-boys, empowered by iron-clad agreements that are the same across all systems, have the 100% unilateral right to bankrupt you and drive you into a mental hell. All of the rights are on one side: for mom and pops, franchising is Unsafe at any Brand. After the honeymoon is over and you’ve signed on for multiple, self-reinforcing monopoly relationships, your economic gender assault can occur with very little warning or defence. You are currently browsing the archives for the Monopoly power category.